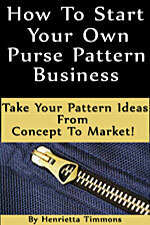 The Bistro Bag Pattern by Among Brenda's Quilts : PursePatterns.com, Sew your own unique purse or bag! 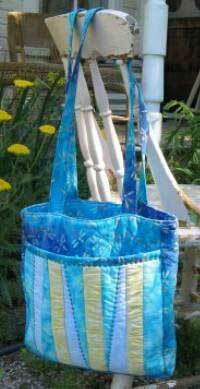 The Bistro Bag pattern by Among Brenda's Quilts is a weekend project which has instructions for an ergonomic interior containing 3 compartments. Finished size is 12 in. high by 11 in. wide. 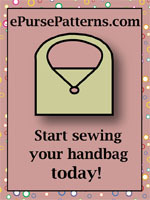 Intermediate sewing skills recommended. Batting - 42 in. x 42 in. piece. 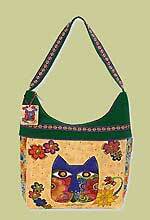 Fusible Fleece - 1/4 yd for the straps and the facing in the bag.